One of our favorite speakers, Kelvin Meyers, will be speaking to us this May. He will show us how to use Time Lines to help with our research. You don't want to miss out on this one. It's an important message that we sometimes forget about using. Kelvin L. Meyers is a fifth generation Texan and professional forensic genealogist since 1996, Kelvin is a frequent speaker to genealogical societies and family associations throughout the United States. After being employed for ten years in the Genealogy Department of the Dallas Public Library, Kelvin now has a solo practice as a forensic genealogist serving clients that include probate attorneys, trust department of banks, the US Immigration Service and energy companies. He also specializes in southern brick wall problems for clients. Kelvin is a 1989 and 1990 alumnus of the Institute of Genealogical and Historical Research at Samford University and has returned to IGHR as lecturer in the Southern Course and the Professional Course. In 2016 he cocoordinated with J. Mark Lowe, “A Swing Through the South” at SLIG (Salt Lake Institute of Genealogical Research). This year Kelvin coordinated the “Burned Counties and More: Overcoming Record Loss” course for SLIG. He is a past board member of the Association of Professional Genealogist, a past President of the Lone Star Chapter of APG, and a founding member for the Council for the Advancement of Forensic Genealogy (CAFG). The Dallas Genealogical Society awarded Kelvin the Lloyd DeWitt Bockstruck Distinguished Service Award in December of 2018. In 2016 Kelvin published Research in Texas for NGS (National Genealogical Society) Research in the states series. Kelvin is also the director of the Texas Institute of Genealogical Research (TIGR) sponsored by the Texas State Genealogical Society which will be held June 9-14 in Austin, Texas. Mesquite Main Library on 300 W. Grubb Drive, Mesquite TX 75149. Mesquite Genealogical Society general meeting is coming up on the 2nd Thursday. Their speaker will be Julie Avedikian and her topic will be Hidden Genealogical Treasures in Revolutionary War Pensions. All contributions to your family history are worthwhile and meaningful. With this class you will learn how to begin Native American genealogy research. You will learn how to find information about your ancestors, better understand Native American research difficulties, and learn about researching the Dawes Rolls and Five Tribes. Suzanne Fritz is a Librarian with the Genealogy, History and Archives Unit of the Fort Worth Library. 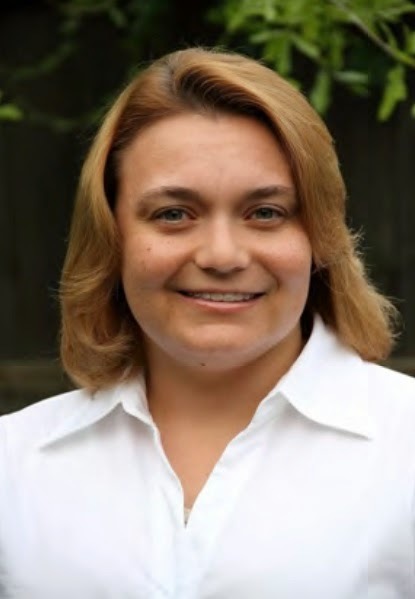 She previously served as a Public Service Librarian and Genealogy Specialist in Naples, FL. Suzanne received her B.A. from Mount Holyoke College in South Hadley, MA, and her M.S., L.I.S., from Simmons College in Boston. She is interested in a variety of topics: Italian-American immigration, German-American genealogy, and Native American records. She’s finding that one of the benefits of moving to Texas has been discovering how much there is to enjoy in regard to Texas genealogy and history. Slated June 10-14, the Texas State Genealogical Society’s institute, TIGR, promotes learning in an instructional classroom atmosphere, taking each attendee’s skills to another level. Two courses, Texas Research Essentials, coordinated by Kelvin Meyers, and Advanced Southern Research Techniques, coordinated by J. Mark Lowe, CG, FUGA, provide a hands-on learning experience during the week along with great discussions with your instructors and classmates. If you yearn for more advanced courses at the TxSGS Annual Family History Conference, TIGR is for you! Check out our website to learn more about lodging and venue, course topics and schedule, and faculty. Courses are filling fast and space is limited, register now to reserve your place! Bring a covered dish to share with everyone. This is our time to share stories, photos, family search successes, or family treasures; so bring something to show or a short story to tell. It's a fun and relaxing evening inside without the heat or ants. The Records of the Extension Service are some of the most interesting records held at the National Archives…and you just never know what you might find! They provide a glimpse into local history and can even possibly aid individuals in genealogical research. Join Education Specialist, Jenny Sweeney from the National Archives at Fort Worth to explore these fascinating records. Jenny McMillen Sweeney is passionate about genealogy. She is an Education Specialist at the National Archives at FortWorth. She has been with the National Archives for over 11 years and enjoys providing education/outreach programs to teachers, students, and the general public on using NARA's records. While at NARA she has co-authored the eBook Baseball: The National Pastime in the National Archives with her NARA Education colleagues. Prior to coming to NARA, Sweeney worked as the Education and Tour Programs Manager at the Legends of the Game Baseball Museum for the Texas Rangers. While in graduate school at the University of Texas at Arlington, Sweeney was fortunate to be an intern at the National Baseball Hall of Fame in Cooperstown, New York. Sweeney lives in Arlington, Texas with her husband Tom, daughter Julia, and crazy English Pointer Rosie...as in Rosie the Riveter!